Almost every child loves to draw. Almost every kid loves cartoons. So if you could help little ones to create animated films of their own, how cool would that be? 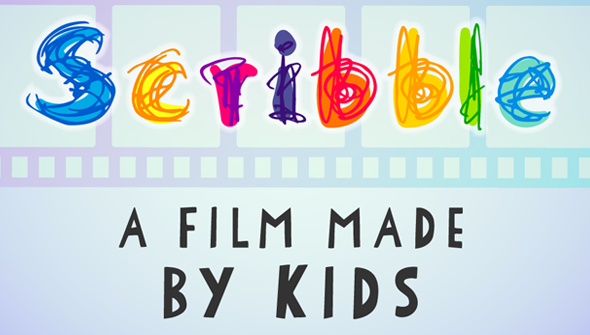 That's the concept behind Scribble, a new Kickstarter project that aims to do just that. The idea comes from Margaret Orr, a talented animator who has had her work screened at 26 festivals to date, in 14 different countries around the world. Orr is launching the campaign alongside Chicago-based teacher Sean Vacca. The film will be made by around 25-35 children aged 6 to 8 attending school in the Chicago area. By drawing directly onto 35mm film, the students will get their first taste of animation. The finished non-narrative film will then be edited and given an original score by professional composer Aaron Marshall. The film-makers then plan to enter the short in film festivals across the globe. The inspiration for the project came from the challenge of trying to get younger children interested in making animation, despite their short attention span. A project like this is an ideal way to let them get a taste for it at an early age. The project seeks to raise $1,200 before February 10th. Pledges start at just $1, and range all the way up to $300 (which will get you a piece of the original film). Due to their belief in the project, all the artists involved are working at a reduced rate. Backers are welcome from around the world, but physical rewards can only be shipped to those in the US and Canada. We think this is a wonderful, ingenious idea, and frankly, anything that helps birth the next generation of animators should be encouraged. Head over to the campaign page for more information or to pledge your support. You can see more of Margaret Orr's work here.